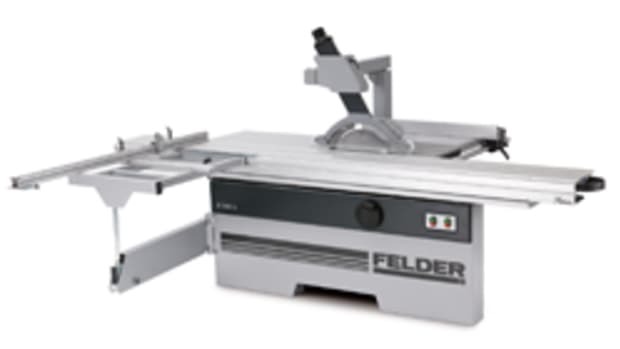 Zelder offers a new multifunctional edgebander, model G 330, designed to save space in a custom shop. 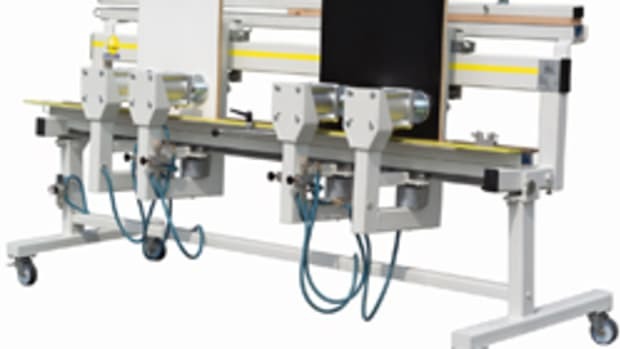 With a total working length of less than 7’, the machine offers precise edge gluing without the need for further manual finishing, according to the company. 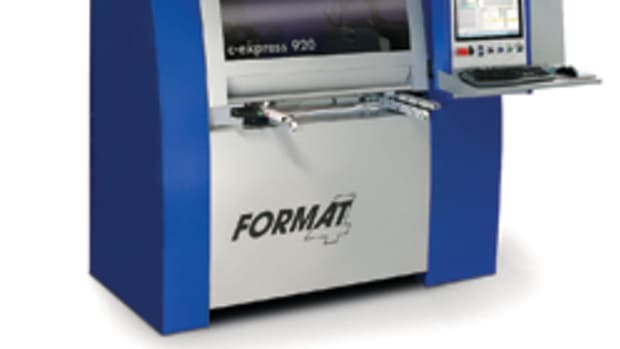 “The biggest reason why we launched the machine was to get a small footprint. 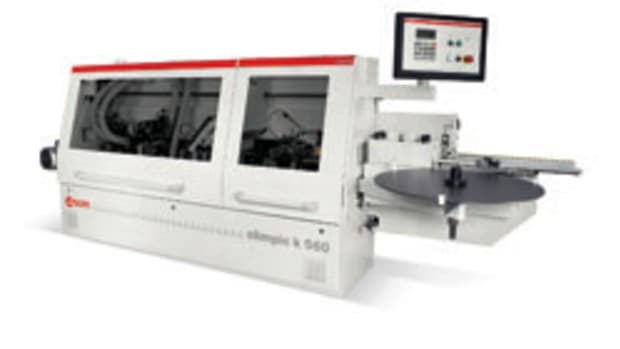 It’s one of the few machines where you get that size of a small footprint, but it still has a proper chain-feeding system for panels,” product manager Ruan du Toit says. 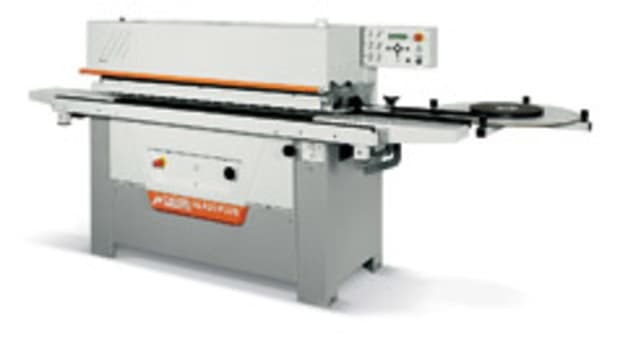 The edgebander features a simple lever, located on the front of the machine with a large scale, to adjust the height of the top pressure bar. The feed height can be adjusted from 10 to 45 mm. 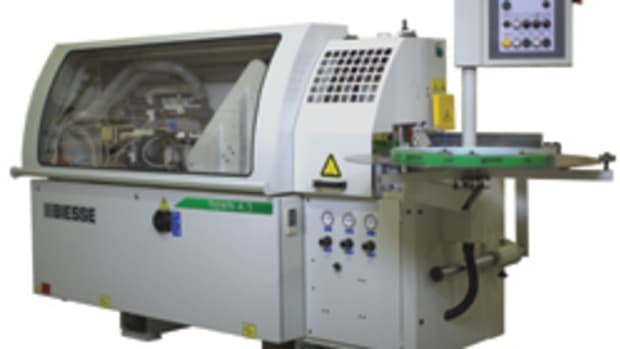 The operating panel with LCD display and keypad lets the user set the glue temperature, engage operating features and track how much edgebanding material has been used. The Teflon-coated glue pot is designed for EVA granulate glue, which is applied with an adjustable roller. 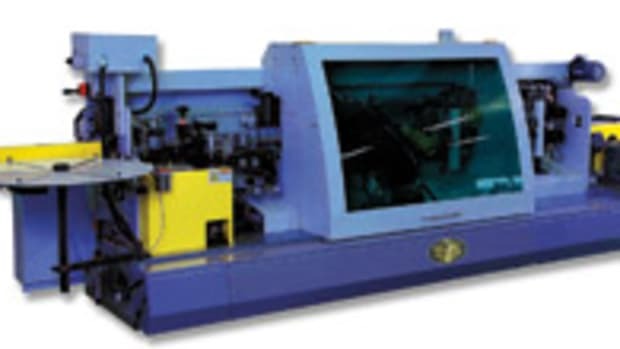 The pressure roller unit consists of one large roller followed by a smaller one. 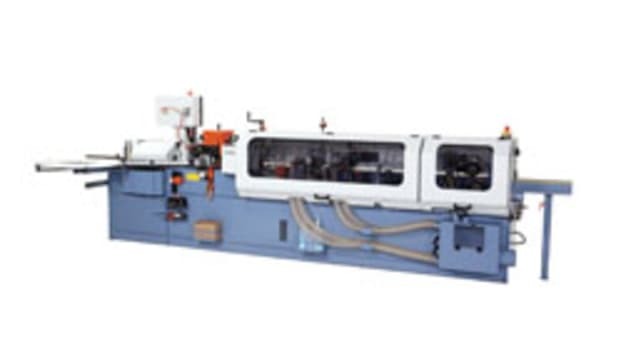 The spring-loaded unit can be adjusted exactly to the required edge thickness, according to the company. 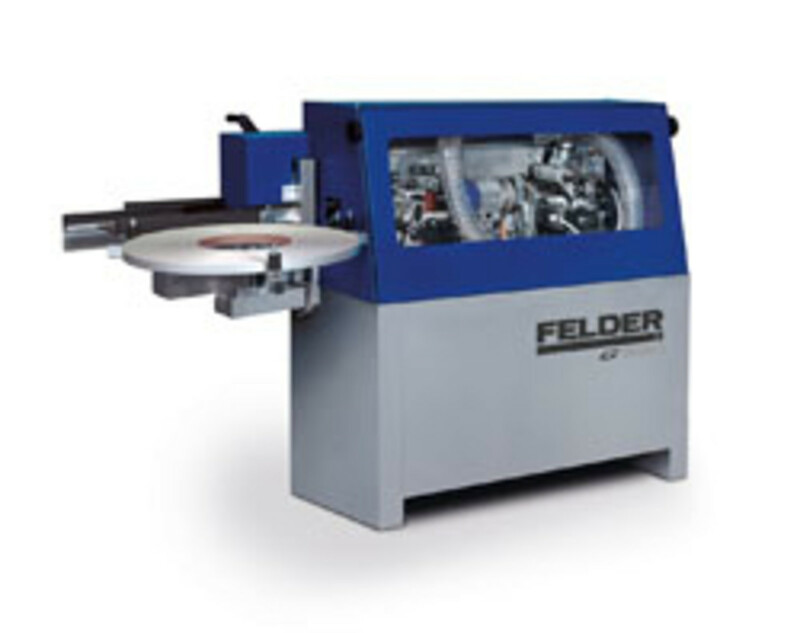 The edgebander also features sawing and radius trimming modules and optional flush scraping and buffing units. “This has high-frequency trimming stations, where the motors run at high speeds. 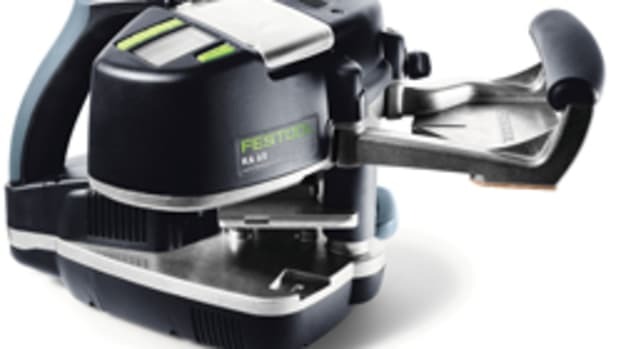 This is advantageous for the small shops when they’re doing PVC edging or even solid edging because the speed of the motor is that much faster so you can do bigger jobs,” du Toit says. The base price is $16,000.